Like their homes, many homeowners opt for a certain style for their back garden. This can be vivacious and modern or minimalistic. A period-style look is making a comeback, especially to match the already existing period-style homes. This look comes with a sense of charm and sophistication, as it did back in the day. Victorians especially embraced the outdoors and had elaborate gardens to host in. If you want to emulate the style of the Victorians, then consider these key elements that will help achieve that timeless look. Gardens were often very large, and structures would be placed away from the home to “get away” from everyday life and enjoy nature in your own backyard. Having your pergola set away from the home and amongst a lot of plant life will also give you a lovely sanctuary to escape to. Period-style pergolas are often found with wonderful foliage wrapped around the posts and along the sides of beautifully decorated trellises. Climbing plants like the Carolina Jasmine I a fantastic way of injecting more greenery into your period-style garden. It has an evergreen look with glossy foliage and yellow flowers that bloom throughout the year. Jasmine, along with Wisteria, were very popular climbing plants in the Victorian-era and are suitable choices for most Australian climates. With a few items of furniture, you can enjoy tea time under your period-style pergola in your luscious garden. White, wrought-iron furniture is durable in the Australian outdoors and can come with intricate designs made popular in the 19th century. You only need a few chairs and a small table. Set these under your pergola and you have the perfect spot to host an old-fashioned afternoon tea whilst admiring the garden around you. In the 19th century, plant collecting took over. Victorians gathered plants from all around the world and displayed them in lavish gardens. Shaped flowerbeds contained vibrant flowers and arboretums were designed for a woodland-like feature to house a collection of trees. Choosing large trees and flowerbeds of a specific design full of a wide variety to put near your pergola will put you in the midst of your own collection. Roses were especially popular and would add to the quaint Victorian atmosphere. Choose hanging baskets to put inside the period-style pergola with overgrown greenery like ferns for even more variety. As much as gardens were admired, many did not want to be walking or sitting on a dirty ground which is why most period-style pergolas and other outdoor structures have flooring of some type. That can come as stone flooring or wooden decking to keep furniture off the ground. 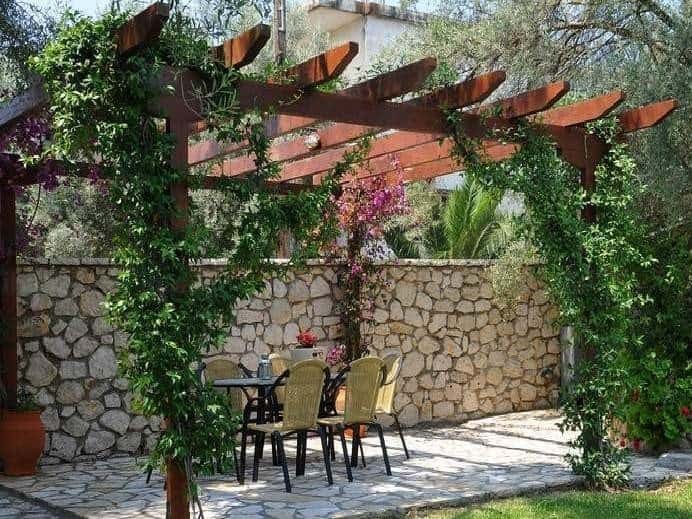 Although gardens were designed to be full of greenery and patches of brightly coloured flowers, the most common colour for outdoor structures like pergolas was white. It really makes the structure stand out amongst all the colours. Victorians would often have stone paths laid out within the garden. A wonderful feature to have for your period-style pergola is to have a stone walkway of your own leading up to your charming pergola. Other decorations included decorative pebbles to separate areas. If you want a period style pergola to go with the look and design of your home or garden, then we can help get you started at Aarons Outdoor Living. 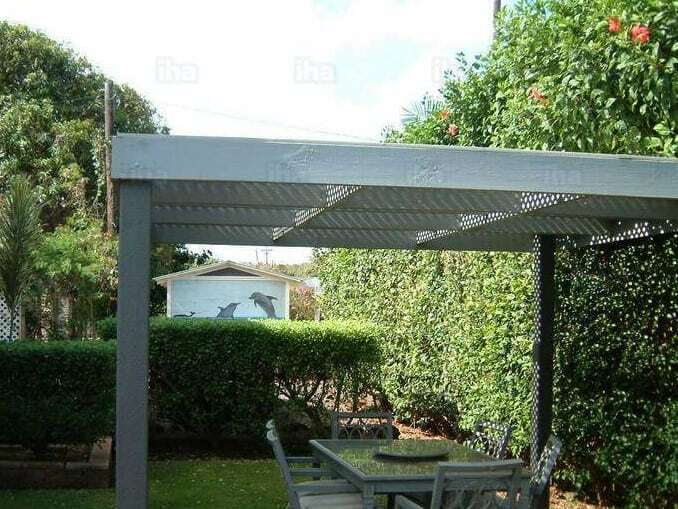 We have pergolas to suit all backyards of all sizes made from the highest quality materials designed to withstand the sometimes-harsh Australian climate. Our sturdy pergolas can be decorated in many ways that suit you, even in the classic Victorian style. Give our team a call to discuss your requirements to get started in creating your backyard pergola.